The Company’s founder Lazare Kaplan once said, “I am passionate about cutting each diamond as beautifully as possible.” Today the Company remains dedicated to cutting the world’s most beautiful diamonds, and continues to maintain the highest standards in the diamond industry, cutting every Lazare Diamond for optimal brilliance, scintillation and fire. Lazare Kaplan International Inc. (LKI) has become the premier manufacturer and marketer of diamonds in the United States and is the world’s largest manufacturer of ideal cut diamonds. Lazare Kaplan’s diamond career began in 1897, with a six-year period of apprenticeship and training in Antwerp, Belgium. In 1903 Lazare Kaplan started his own cleaving firm that grew and prospered and he became known as one of Antwerp’s leading diamond cleavers. In May 1906 Lazare Kaplan, his wife and one year old son Leo, was in New York visiting relatives when Belgium was invaded. He decided to stay in New York and start again. In 1917, Mr. Kaplan pioneered an apprenticeship program in Puerto Rico where he found men with superior manual dexterity and a great eagerness to learn. In this way, he launched a new industry of highly trained diamond cutters and polishers in that area. Since that time LKI has been responsible for several generations of master diamond cutters that have perpetuated the skill and dedication for the craft. In 1919, Marcel Tolkowsky, a cousin of Lazare Kaplan, developed a mathematical formula for cutting diamonds to precise angels and proportions to gain the optimum reflection and refraction of light. Lazare Kaplan adopted this approach and the ideal cut theory was put into practice in 1919. This method, based on a complex formula that measures with exacting precision a diamond’s many angels and proportions, produces a diamond that maximizes the characteristics that discerning consumers prize above all else: brilliance, sparkle and fire. Because more of the stone must be cut away to achieve such perfection, the ideal cut is costlier than other manufacturing methods, and the manufacturing process demands a much higher level of skill on the part of the diamond cutters. So rigorous and demanding is the process that less than 1 percent of the world’s diamonds are ideal cut. LKI is still today devoted to the art of cutting The Lazare Diamond® and Deleuse Jewelers in Tiburon offer the world’s most beautiful diamonds® to the same original exacting standards. 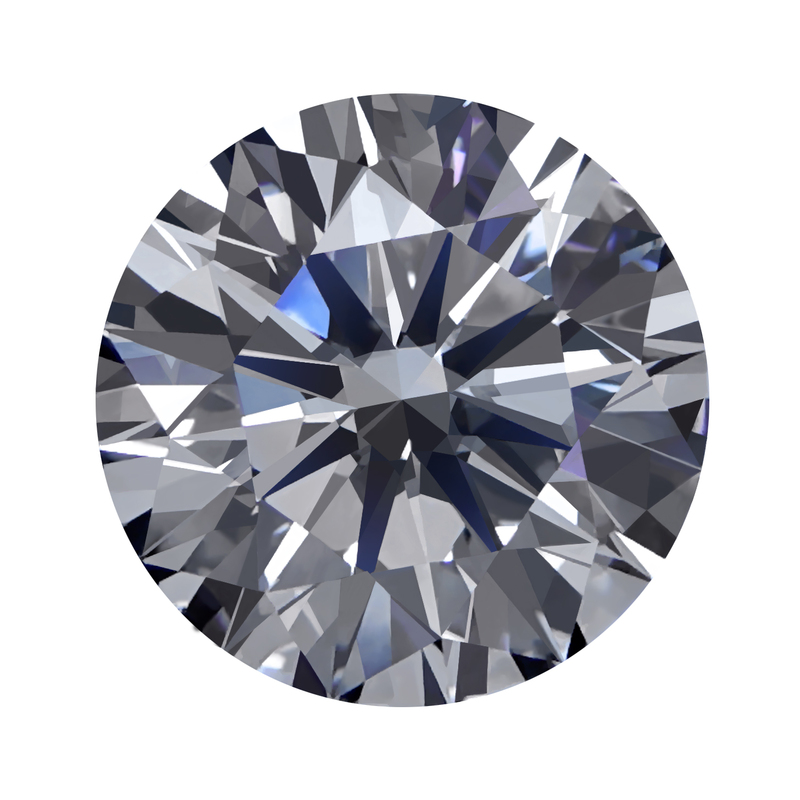 The ideal cut isn’t the only thing that differentiates Lazare Diamonds from other diamonds. On the outer perimeter of each diamond, the Lazare logo and an identification number unique to that diamond are inscribed with a laser beam. The logo serves as proof of authenticity, while the number is proof of ownership in case of loss or theft. In the early 80’s LKI co-invented this process. The inscription itself is invisible to the naked eye but can be viewed under 10-power magnification and does not affect the clarity grade of the diamond. This laser “signature” enables LKI to market its ideal cut diamonds as a unique, brand name product known as The Lazare Diamond. Knowing that a particular brand name represents quality and is only available through the finest jewelers makes people feel more secure in their purchases. By asking for Lazare Diamonds by name, consumers are assured of the finest quality and cut. LKI has been publicly listed on the American Stock Exchange since 1972. Subject to stringent financial rules and regulations, LKI long ago established its reputation for commitment to the highest standards of integrity, transparency, accountability and good corporate citizenship. Many of LKI’s senior management are on the boards of many organizations including; The Jewelers Vigilance Committee, The American Gem Society, The Women’s Jewelry Association, The Twenty-Four Karat Club, to name a few.